Perfect for everyday carry for anyone who constantly finds themselves outdoors, this Outdoor Edge Conquer Flipper Knife is sure to keep you satisfied. The 8Cr13MoV stainless steel blade easily flips out from its crisp 18-ball bearing pivot. 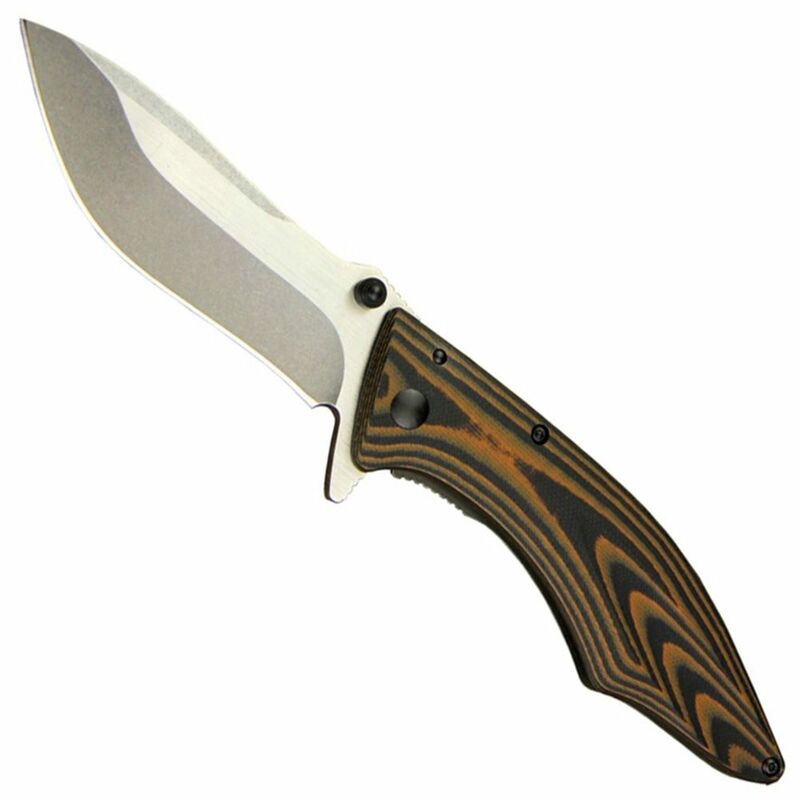 Its G10 titanium handle is high quality with a faux wood grain look.